An article in the Wall Street Journal about the third publishing house — HarperCollins, who joined Simon & Schuster and Hachette — to delay e-book publication of new (hardcover) titles. The debate over timing and pricing of new-release e-books (@$9.99) continues. Haruki Murakami’s latest (which we reviewed) is out this week, as is a new edition of Augustus, the 1973 National Book Award winner by Stoner author John Williams. Also out: Friendswood by Rene Steinke; The Lotus and the Storm by Lan Cao; Before, During, After by Richard Bausch; The Narrow Road to the Deep North by Richard Flanagan; and Your Face In Mine by Jess Row (which I wrote about for our Great Second-half 2014 Book Preview). Recommended Reading: Hannah Rose-Woods on totalitarianism in the wizarding world. The Guardian posted a helpful Q & A to shed light on a great mystery: why is Penguin Classics publishing Morrissey’s autobiography? The Size Queens re-conceptualize the album with their release of To The Country, a hybrid iBook/album whose “interpenetrations of song, text, and image” aim to generate new narrative forms. Band member/author Adam Klein writes: “We create these imagined worlds together, simultaneously uncontaminated and corrupted, through metaphor and code. ‘The country’ and the new world of applications are always polyvalent; it is impossible to make them remain at our service.” Also! This textual/aural collaboration features original stories by Lynne Tillman, Rick Moody, Maria Bustillos, and Joy Williams (first line reads: “Daddy didn’t want to be a social being and he didn’t want us to be social beings so here we are.“) Download To The Country here (it’s free!) and read/listen/weep. 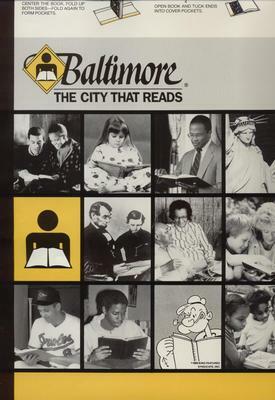 Before adopting the relatively unimaginative (and highly debatable) moniker “The Greatest City in America,” Baltimore, MD was for a time known as “The City That Reads.” In an essay for Poets & Writers, Jen Michalski explains how the city’s bookish reputation endures despite the motto change.